Non-enveloped, head-tail structure. Head is about 60 nm in diameter. The tail is non-contractile, has 6 short subterminal fibers. The capsid is icosahedral with a T=7 symmetry. 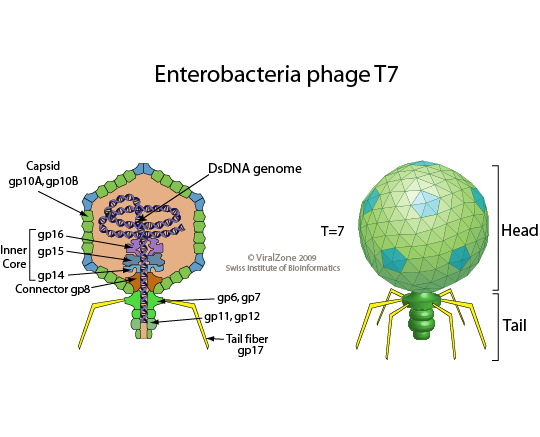 The phage attaches to target cell adhesion receptors through its tail fibers. Transcription of class I genes by host RNA polymerase before the viral genome completely exits out of capsid. Transcription of class II genes by T7 RNA polymerase. 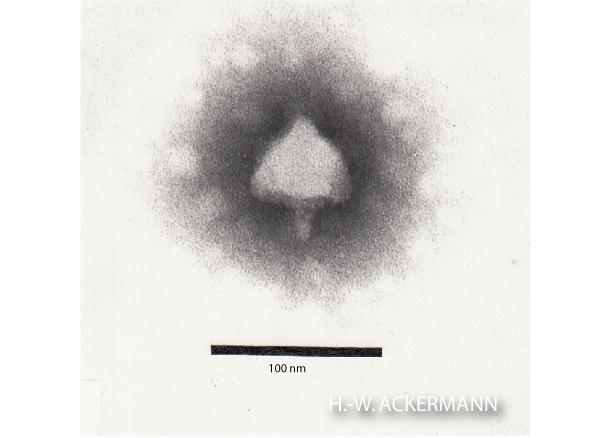 Replication of genomic DNA by T7 DNA polymerase, formation of viral genome concatemers. Transcription of class III genes by T7 RNA polymerase.